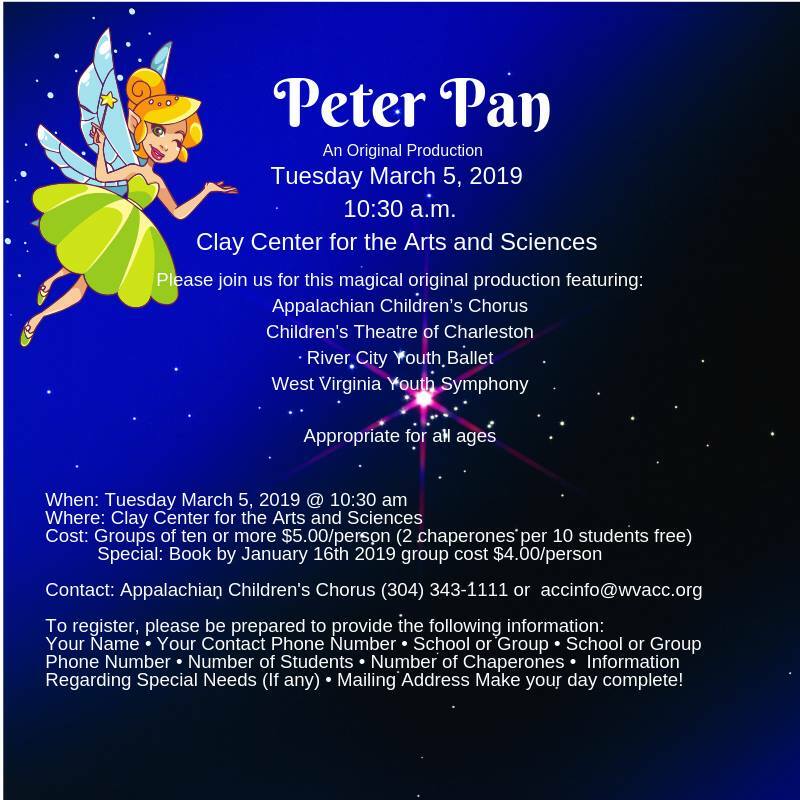 Youth Organizations United (Appalachian Children’s Chorus, Children’s Theatre of Charleston, River City Youth Ballet Ensemble and the West Virginia Youth Symphony Orchestra) invite you to join them on a magical original production of Peter Pan-Believe. 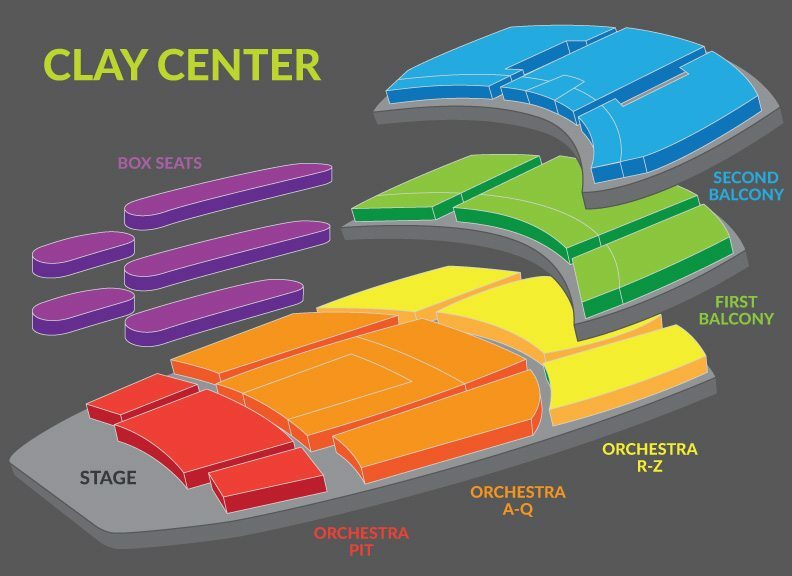 Don’t miss your chance to take a journey to Neverland with over 150 of the areas most talented youth performers! Run time approximately 1 hour 15 minutes. This show is appropriate for those who will never grow old!